This side table, the second installment in the Retrospect series of furniture is inspired by Scandinavian mid-century design. It pays particular homage to atomic age design of the 1960s and 1970s. It is also intended to be a utilitarian and versatile piece that can be used in various rooms within a building. It is as well suited for use as a bedside table as an occasional table in a lounge or living area. Two versions of this piece are available. 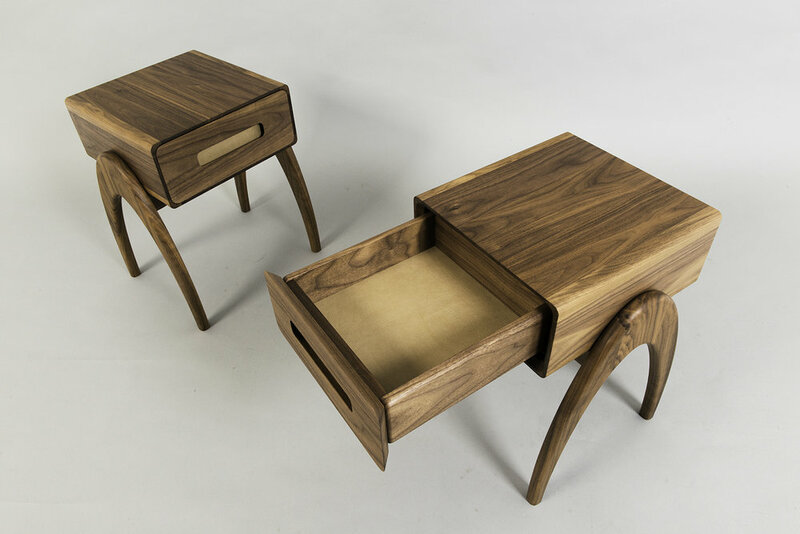 An open version where the main body of the table incorporates an open shelf and a version which includes a drawer. 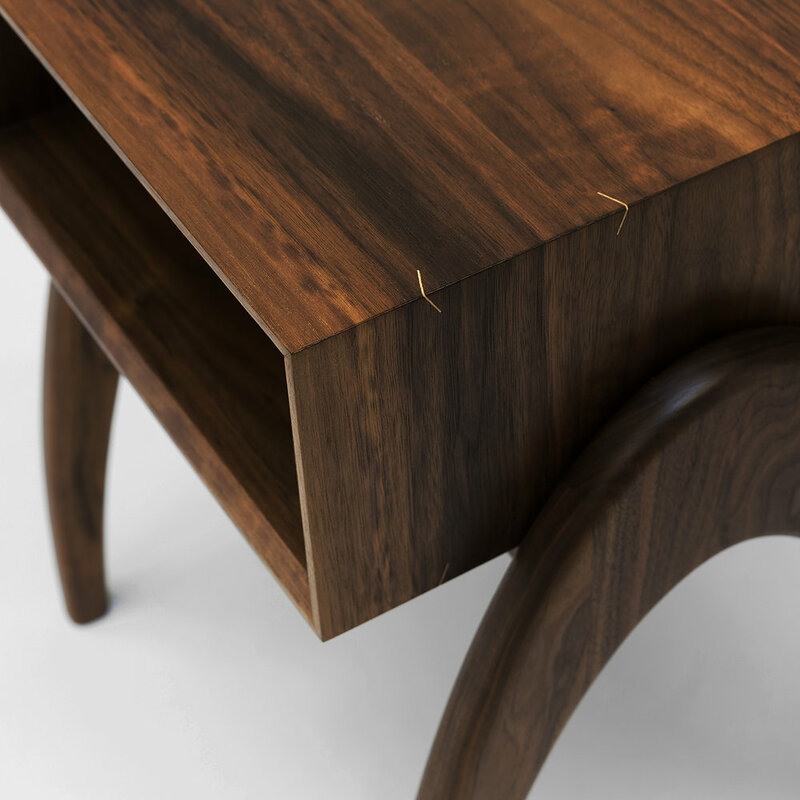 The body open version of the side table is created using mitre joints on the corners give the piece a clean, crisp and simplistic appearance which is accented with Ash splines which are not just decorative but also perform the function of locking the joint together. This structure is open at both ends allowing items stored within to be accessed easily from either side and are seen more easily as they illuminated by the light which is allowed to pass through.